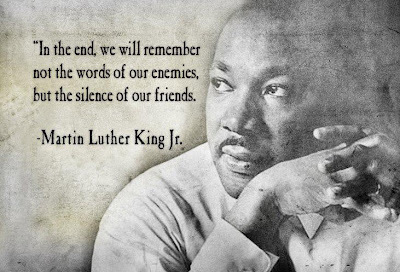 Powerful words from a great American orator, Martin Luther King. This particular quote and its message of speaking out against injustice has found its way into numerous books, articles, countless images online, and even the Congressional Record. However, it appears that Martin Luther King never uttered these words—at least, there is no record of it that I can find. Recently, I submitted an entry to a poster design competition commemorating the 50th anniversary of the Free Speech Movement in Berkeley. Why, you ask? Because $$$. Universities have become obscenely, unethically expensive. Trying to come up with a design, I realized the hard problem was that I was trying to visualize speech—trying to illustrate spoken word. It was perfect—a simple notation of dots and lines that, for even a lay person, depicted the tempo and rising and falling of speech. Pair this with a powerful quote about freedom of expression, and I would have my poster! And it was then that I found Dr. King’s famous quote. It was perfect—not merely a celebration of free speech, but a call to action. Now all I needed to finish my poster was to actually hear King speak the words. And it was here that I ran into trouble. My first step was to determine from which of King’s many speeches and lectures the quote came from. The only citation I could find was from Trumpet of Conscience—a book containing the transcripts of the Massey lectures, a series of radio lectures broadcast by the Canadian Broadcast Company in 1967. Happily, the lectures were all online and freely available. I listened to all 150 minutes of speech, and never heard the quote. However, I couldn’t say that I listened attentively to all 2.5 hours—perhaps I zoned out right when he spoke the words, or perhaps the quote was, in fact, from another lecture. Another source also cited Trumpet of Conscience, but specified the source as the “Steeler Lecture.” One book cited as a source The Moral Point of View by RH Bainton—a book that, from what I can tell, simply doesn’t exist. It was published 10 years after the death of the author, who—while known for writing books on the German Christian reformer Martin Luther, was not known to have published any books on Martin Luther King. A search of the publishing house’s catalog—Cornell University—likewise produced no such title. The only lead I had left was Trumpet of Conscience, a book long-since out of print. Luckily, one of the (fantastic!) UC Berkeley libraries had a copy. Sure enough, the only lectures contained in the book were the 5 Massey lectures. Nonetheless, I scanned the text just to be sure. The quote was not there, nor any mention of the “Steeler Lecture.” Online, the only reference I could find to any such lecture was as a citation for this quote. 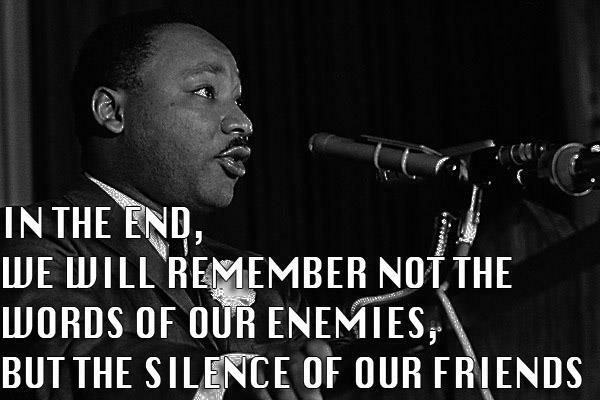 After several days of research, it appears that—if Dr. King ever uttered these words—they were not recorded. Or, as is perhaps more likely, the quote was at some point misattributed to the reverend or simply invented and—through the power of the Internet—became established urban legend. Tommi Nieminen and Michael L. O’Dell, “Visualizing speech rhythm: A survey of alternatives,” Academia.edu. David Crystal, Prosodic systems and intonation in English (Cambridge: Cambridge University Press, 1969). Sandy Island on a 1908 nautical chartR.C. Carrington. Sandy Island on Google EarthUniversity of Sydney News. To traverse the world men must have maps of the world.Ewen and Ewen, 52, quoting Walter Lippmann, Public Opinion, (1922). In 2012, the crew of an Australian research ship working in the Coral Sea noticed a discrepency between their maps and navigational charts—the navigational charts depicted an ocean depth of 1400 meters right where the maps (and Google Earth) clearly depicted an island to be.University of Sydney News. Curious, the crew sailed to the island, only to find open water.University of Sydney News. What followed was a brief, but intense, scientific debate: the island clearly was not where it was supposed to be, yet its existence had been reflected in “some of the most fundamental data sets used by the scientific community.”M. Seton et al., 141. For example, satellite-derived bathymetry data reported the elevation at Sandy Island, as it was known, to be 1 meter above sea level. Another data set recorded sea surface temperature as being absent at Sandy Island’s location, further suggesting the presence of land.M. Seton et al., 142. Sandy Island was first discovered in 1876 by the whaling ship Velocity and recorded on a 1908 British admiralty map. When the US military digitized old paper maps, the island’s position and description migrated into what became known as the World Vector Shoreline Database (WVS), a freely available database of all the world’s shorelines.Achenbach. Being both comprehensive and free to use, the WVS database eventually became the “standard global coastline data set used by the scientific community.”M. Seton et al., 142. Other data sets—like the satellite bathymetry data showing the island to be 1 meter above sea level, or it lacking in sea surface temperature, had been preprocessed using the WVS data—in other words, in the course of cleaning up supposedly independent data sets, scientists’ use of the WVS data had caused them to assume Sandy Island existed, and thus adjust their data accordingly. “Therefore, rather than providing independent evidence for the existence of an island, the appearance of Sandy Island in bathymetry and satellite imagery data sets sprang from spurious digitized geometries in the WVS database.”M. Seton et al., 142. First we define and then we see.Ewen and Ewen, 51. Ewen and Ewen argue that the popularization of scientific, materialistic views on the functioning of the human eye in the middle ages led to a general belief in the ability of human vision to function as a perceiver of truth. Most significant among Alhazen’s discoveries was his explanation of vision itself, his argument that what people see flows from light that is reflected off external objects, travelling toward the viewer and into the eye. Implicit within this formulation was the notion that seeing was an actual imprint of an objective world, that there was an inviolate relationship between human sight and truth.Ewen and Ewen, 64–65. And indeed in this case, it was human sight which granted existence to an imaginary island. Whatever the crew of the Victory spotted all those years ago, it could not have been an island, yet their interpretation as such not only lasted for decades, but contaminated data gathered by satellites and thermometers. The “imprint of an objective world” on the eyes of a handful of sailors was so strong that it could only be fully removed by the one tool which realized the island to begin with: human sight. While sight is informed by our maps of the world, our trust in sight also gives it the means to redefine those maps where nothing else can. M. Seton et al., “Obituary: Sandy Island (1872–2012),” Eos 94, no. 15 (April 9, 2013). “When is an island not and island?,” The University of Sydnet News,November 23, 2012. Joel Achenbach, “Scientist unravels mystery of Coral Sea’s ghostly Sandy Island,” Washington Post, April 14, 2012. Stuart Ewen and Elizabeth Ewen, Typecasting: On the Arts and Sciences of Human Inequality (New York: Seven Stories Press, 2008).